← OMG! William Orbit replied and retwitted me (and Ingrid him)! If you’ve never heard about Mauricio de Sousa, you are not from this world (OK, he is well known amongst 100% of the Brazilians). He is simply the greatest cartoonist alive in this world. 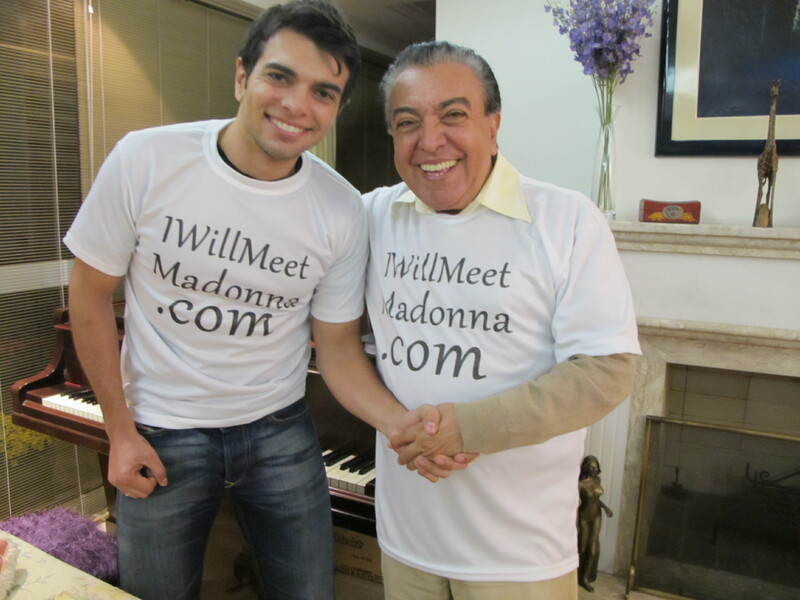 Last Saturday my day got better because Mauricio also started his support to my campaign to meet Madonna. This is not at all. Even Miaura, my drag queen cat, is having support from Magali (Maggie) – one of his man characters who has a cat named “pap” (Mingau). The comics of Mauricio have gained international fame, been featured on licensed merchandise, and have even been adapted for movies, television, video games, and even for amusement parks. Monica’s Gang and related works have been published in 40 countries in 14 languages, including Greek and Javanese. His work has been published in many magazines and newspapers since 1959. Since January 2007, the comic book series is published by Panini Comics. In 1997, the cartoonist founded the Mauricio de Sousa Cultural Institute, whose mandate is to develop social action campaigns that translate serious subjects into a comic book format to appeal to both young and adult readers. Mauricio’s public service work has earned him international recognition. Among the honors he has received are a Brazilian presidential medal of honor for his promotion of human rights; an honorary doctorate in public service from La Roche College of Pittsburgh, Pennsylvania; and a Lifetime Achievement Award from the Brazilian International Press Association. 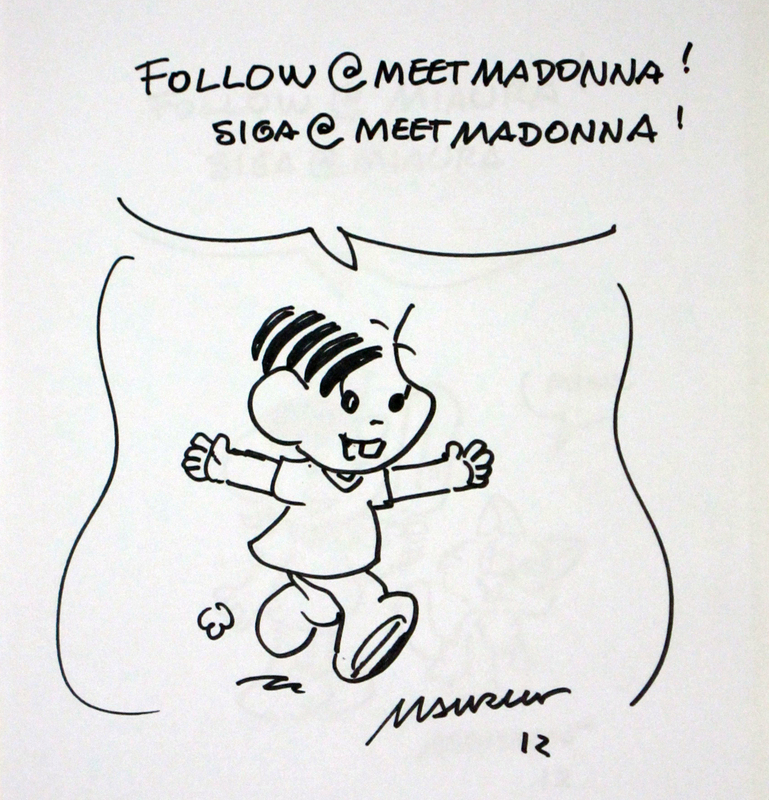 Plus, Monica, his main character, is the first cartoon to be an Unicef Ambassador! 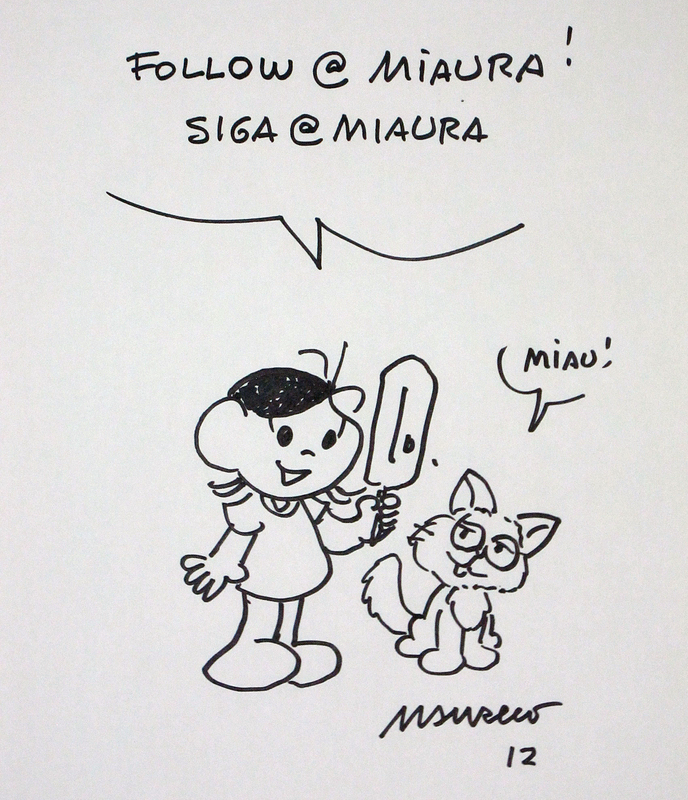 In 2008, Mauricio started publishing Monica Teen (Turma da Mônica Jovem), an offshoot series from Monica’s Gang, featuring Monica and her friends now as teenagers, adopting black-and-white pages, as well as art style heavily influenced from manga. Issue #34 of the “Monica Teen” comic book, presenting the first real kiss between Monica and Jimmy (they had already kissed in two previous occasions, but in a different context) had 500,000 sales. 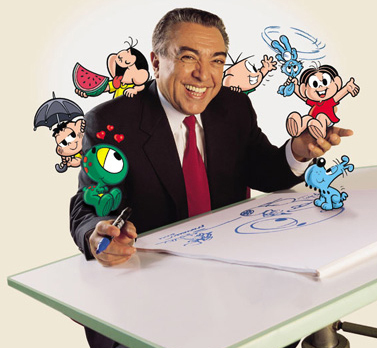 Some of Mauricio’s creations include: Monica’s Gang (Turma da Mônica), Monica Teen (Turma da Mónica Jovem), Ronaldinho Gaúcho, Chuck Billy ‘n’ Folks (Turma do Chico Bento), Tina’s Pals (Turma da Tina), The Cavern Clan (Turma do Piteco), Bug-a-Boo (Turma do Penadinho), Horacio’s World (Turma do Horácio), The Tribe (Turma do Papa-Capim), Blu (Turma do Bidu), The Funnies (Turma do Astronauta) and Lionel’s Kingdom (Turma da Mata). This entry was posted in Press, Support and tagged Guy Oseary, Liz Rosemberg, Magali, Mauricio de Sousa, Mônica, Miaura, Turma da Mônica, twitter. Bookmark the permalink.